If you are heading to Las Vegas this spring, you’ll be glad to know that the world-renowned day clubs are now reopening for the season. So, pack your bikinis and sunscreen and get ready to spend your days under the sun. Located at The Venetian, TAO Beach officially reopened on March 13. TAO Beach is considered as the wettest and hottest playground for the rich and famous. This day pool boasts 18,000 square foot of party space, a 30-feet bar, luxurious cabanas, and nightly guest DJs. Prepare to have some serious adult fun here! Opening in late March, the Daylight Beach Club at Mandalay Bay features massive space that can accommodate up to five thousand party people. This resort resembles a luxurious tropical island with its 4,400 square foot pool with 3 decks, 23 cabanas, 70 daybeds and 2 bungalows. The Mediterranean themed 50,000 square foot space is further enhanced by a 1,500 square foot partying stage that’s accented with six massive LED screens. On March 29, the first ever LGBTQ Saturday daytime pool party will be celebrated at Xposed! at the new and improved Tropicana Beach Club. Prepare to get wet and wild as you enjoy the music of talented DJs and the hot moves of their gorgeously tanned go-go dancers. The Bare Pool Lounge at The Mirage reopened on March 13. This popular pocket of oasis in the desert is the ultimate mix of luxury, fun, and exclusivity. Bask in the amazing ambiance, the hottest music, and beautiful, scantily-clad guests. With complimentary Evian misting bottles, iced towels, and chilled cucumber, you’ll want to stay in Bare all day. If you want to rub elbows with some of the sexiest bodies this spring, you must visit these day pools together with your friends. Don’t forget to arrive in style by riding in Earth Limos’ party bus. This party-on-wheels will start your day right and make your Las Vegas stay an unforgettable experience! Partying in Las Vegas is definitely more fun when you are with a bunch of friends. 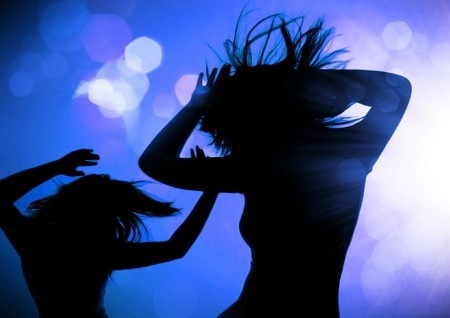 The number of prestigious nightclubs that Sin City has is enough to make any party goer’s head spin with excitement. Fancy, exclusive, and brimming with celebrity guests, prestigious nightclubs can be found all over Vegas. With so many choices, which club do you choose. If you want to party in several clubs in one night, book a nightclub tour with Earth Limos & Buses. The most prestigious nightclub tour company in Las Vegas. Earth Limos offers limousine and party bus rentals that can accommodate you and up to 55 of your closest friends. All of Earth Limos’ party buses are top of the line, fully equipped luxurious party buses with the latest audio and lighting technology. One of their most in demand vehicle is the 22-passenger party limo coach that comes with a built-in stripper pole. In fact, you can even have your own party inside the bus while cruising down the Las Vegas Strip. 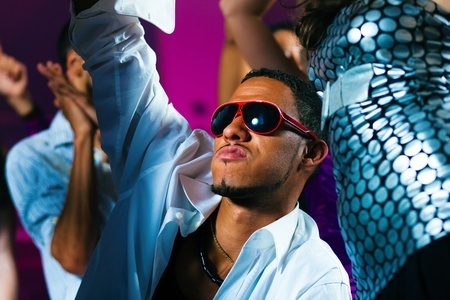 With Earth Limos Buses, you can party non-stop. Check out our full line of party buses. Vegas Party Bus – Guys Night out in Vegas! Strengthen the bond of brotherhood by spending the weekend in Las Vegas. Since women are not allowed on this trip, you and your friends can visit the best night and strip clubs the city has to offer. There won’t be any nagging to go shopping or reprimanding for looking at other hot women. This Las Vegas guys’ weekend will be the one for the books so make it truly unforgettable. Before heading to Sin City, make sure to book a party bus from Earth Limos and Buses. You can arrange for the vehicle to pick you up from the airport to your hotel for your convenience and safety. You’ll be cocooned in a spacious, air-conditioned vehicle with plush seating, high technology amenities, and a complimentary bottle of wine or champagne. It will be great way to start your weekend. You and your friends can start the day playing at Bear’s Best in Las Vegas. Bear’s Best is a uniquely designed 18 hole Jack Nicklaus golf course that is hand selected by Jack from his 270 designs worldwide. After a round of golf, head to Jack’s Place, a magnificent casual sports lounge for a couple of cold ones! Once the sun sets, it’s time to party. Hop on board your Earth Limos party bus and head to one of the many hot nightclubs in Vegas or visit one of the many popular gentlemen’s clubs after all it’s a guy weekend in Vegas. Go all out, your Earth Limos party bus chauffeur will ensure that you and your friends will arrive at your destination safely and without any hitches. Let the professional staff at Earth Limos arrange a night out in Vegas you will never forget. If there’s a sole nightclub in Las Vegas that can lure hundreds of tourists, locals, and celebrities alike, it’s TAO Nightclub in Las Vegas. Located inside the posh Venetian Hotel and Casino, TAO Nightclub is one of the busiest and most happening clubs in city. It is open from Thursdays through Saturdays and has a cover charge of $30 per person. TAO showcases 10,000 square feet of space that can accommodate up to 3,000 party goers a night. Its spacious party rooms are split into two and features varying music themes. The club also has 8 private skyboxes and a 40-foot terrace that offers a gorgeous view of the Las Vegas Strip. With long lines outside the club, there’s no denying that thousands of individuals want to get in. But what makes TAO Nightclub so in demand? It is known for its sizzling energy. With talented DJs, frequent high-profile guests, addicting alcoholic drinks, and their resident flying Champagne Fairy, this nightclub is truly the epitome of fun. Another plus factor of TAO is the presence of their scantily clad models – soaking in tubs with rose petals and dancing erotically on stage. The sight of these women always gets the guests’ energy to skyrocket. When you are in Las Vegas, don’t miss out on TAO nightclub. Don on your best (and sexiest for women) outfit and arrive in style via Earth Limos & Buses party bus. Inside Earth Limos’ party bus, you can start having fun even before TAO opens for the night! This party-on-wheels is equipped with state-of-the-art audio system, stripper pole, comfortable lounge style seats, and pulsing fiber-optic lights to keep you and your companions pumped up for a whole night of unadulterated fun. And because the party bus is chauffeured, you don’t have to worry about limiting your drinks. So hop on an Earth Limos & Buses’ party bus and arrive at the TAO Nightclub like genuine VIPs. Known as the entertainment capital of the world, it is not surprising to know that you and your friends are heading to Las Vegas for a night (or three) of fun and excitement. With all the happening nightclubs and swanky bars located in Sin City, a truly memorable experience is just waiting to happen. Be cool and start the night at Minus5 Ice Bar in The Shoppes at Mandalay Place. Upon entry in this unique bar, you and your companions will be handed insulated gloves, boots and jackets to bear the 23 degree fahrenheit temperature of bar’s interior. The Minus5 Ice Bar is truly a winter wonderland since its walls, seats, and decors sculpted out of ice. Even their signature cocktails are served in ice-carved glasses. After a few shots of extra-cold drinks at Minus5 Ice Bar, head over to the Ghostbar on the 55th floor of the Palms. The Ghostbar showcases a captivating skydeck, 47-inch TVs, and luxurious Murano chandeliers that attract a lot of stylish and trendy individuals from all over the world. The Rockhouse at the Grand Canal Shoppes at the Venetian is another unique Las Vegas bar that you and your friends should visit. Here, you’ll find a giant dancing cage, beer pong tables, mechanical bull, and an 83-inch flat screen TV among others. With all the nightclubs and bars that you can visit during your Las Vegas trip, you’ll definitely want to enjoy the evening without worrying about drinking and driving. Party safely and in style by hiring the services of Earth Limos & Buses. Earth Limos’ party buses are equipped with modern technology and amenities to ensure continuous fun as you and your friends hop from nightclub to nightclub. While on board the spacious, luxurious, and chauffeured party bus, you can relax enjoy a cocktail or two, take in the view of the city as you continue to your next destination on the Vegas Strip. Visit Earth Limos for the latest Vegas Party Bus Specials. So you’ve just been asked to be the best man and your buddy’s wedding, which simply means that you are in charge of the biggest night of your buddy’s life, his “BACHELOR PARTY”. Without hesitation, you begin making plans for the Ultimate Vegas Bachelor Party. 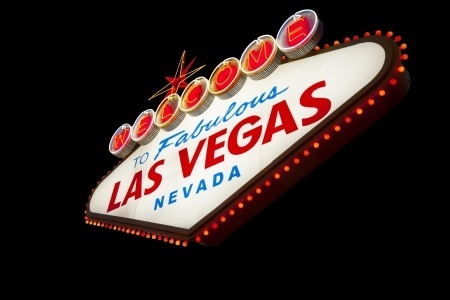 Vegas has so much to offer that is can sometimes become overwhelming planning such a big event. After all Vegas has well over 25 nightclubs so choosing the best ones can be difficult, especially if you have only a few days in Las Vegas. According to USA Today, the top five Vegas Nightclubs are XS Nightclub at Wynn, Tao at the Venetian, Marquee at the Cosmopolitan, Hakkasan at the MGM, and Hyde Bellagio. If you’re looking for ways to pass the time during the day, check out the Ghost Bar Day Club at the Palms known as GBDC. Season three is officially underway and will host some of the biggest names in the industry. GBDC is open every Saturday from October thru mid-January. Doors open at 1 pm. These are some of the best clubs in the city, but they aren’t the only ones. Do your research and find some of the other Vegas nightclubs that might be right for you. If you would rather have the Vegas experts plan your big night, let the staff at Earth Limos do the work for you. Earth Limos offers several Vegas Bachelor Party Packages including their most popular 4 hour luxury limo or party bus package which includes VIP entry into the hottest Vegas clubs or gentlemen’s clubs and much more. It’s finally happening. You are turning twenty-one years old, and you want to celebrate your birthday in style. What does that mean? It means you are going to Vegas! Of course, if you’ve never been there before, you might not have much of an idea of what you can do and where you can go. Fortunately, Vegas is full of fun activities for the birthday boy or girl to enjoy. Let’s look at a few of them and see what might be a good choice for you. Of course, one of the first places the newly minted twenty-one-year-old will want to visit are the nightclubs. Drinking legally for the first time while out dancing and listening to music with your friends can be a blast, and you have a host of different clubs in Vegas that might be just perfect for you. Some of the most popular options in the city include XS, Marquee, Hakkasan, LAX, TAO, Hyde, and Pure. Of course, this is just scratching the surface of what’s available in Las Vegas. Whether you want to find a loud, bass thumping club or something a little laidback, it’s easy to do in Vegas. You might even want to consider going on a nightclub tour. The tours can take you to some of the hottest clubs on the strip so you can experience each of them. On the nightclub tour you are always treated like a VIP and never stand in line. It’s a safe and easy way to get around too. Just as popular as the bars and nightclubs are the world-class shows in Vegas. Take the time to check out information on some of the various shows before you arrive. Whether you want to see a magic show, such as Penn & Teller, or you want to see Cirque du Soleil, Vegas can give you plenty of great choices. No matter what you want, the city delivers! 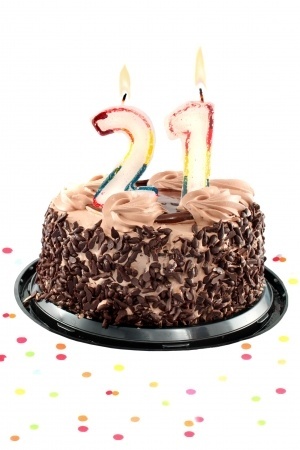 Even though it might be your twenty-first birthday, you still need to be responsible. Drink responsibly and make sure that you and your friends don’t get behind the wheel. A great way to be safe, and to travel to all of these clubs in style, is by booking transportation through Earth Limos. The service ensures you get to where you need to be and that you are safe the entire trip. Have a great time and start making some memories you will never forget!